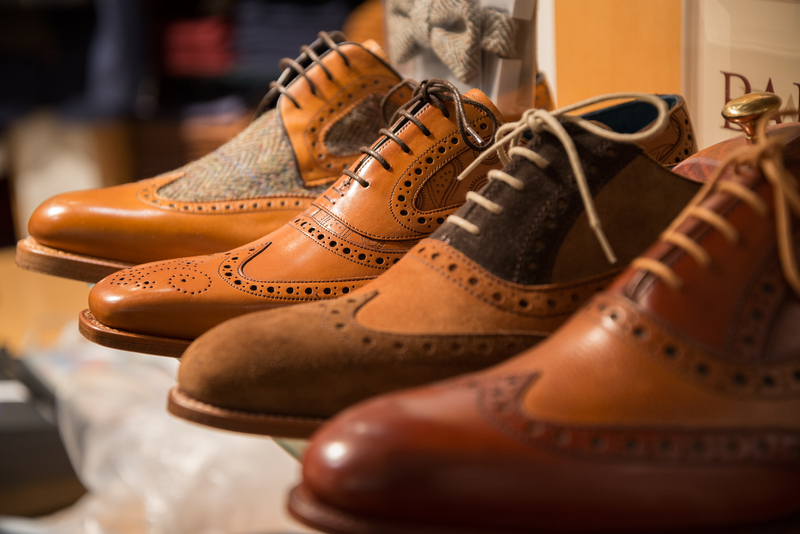 Barker shoes from Robert Smart in York have been an English tradition for over a hundred years. Only the most carefully selected leathers are used and the uppers are shaped on the last by hand. Many other traditional shoemaking methods are still employed including slow natural drying and polishing. This is why Barker English shoes have a unique quality that no machine can ever match. Barker have been making shoes in the Northamptonshire village of Earls Barton since 1880. In a changing world, it’s good to know you can still find perfection if you look for it. The foundation stone of the Barker brand was laid in a humble cottage in the heart of England’s shoe manufacturing industry in 1880, by an enterprising Northamptonshire boot maker. Arthur Barker was a skilled craftsman and natural innovator, whose waterproof peg-sole boots were highly sought after (the pegs would swell when wet and make the sole waterproof). Unable to satisfy increasing demands, he employed other craftsmen in surrounding villages to fulfill his growing order book. With a keen eye on the future and a shrewd sense of timing, Barker invested in factory premises at the turn of the century, later securing contracts to supply the British army with boots during the First World War. Throughout the interwar years, the Barker brand went from strength to strength as Arthur’s three sons joined the family business, taking the brand into new markets and territories. In 1947, a new factory was built in Earls Barton to house the women’s shoe production, and in 1950 the brand established a separate sales company to sell direct to retailers. In 1986 Barker built a new factory and offices using Northamptonshire local brick and stone. It is now one of the finest footwear factories in Europe and occupies a 4.5 acre landscaped site at the centre of the village of Earls Barton. This site is only a few hundred yards away from the original site of 1880. We are at the heart of the British Shoe Making Industry with a highly skilled local labour pool. The factory was designed to make fine English shoes. Each section was custom built to achieve this. For example good natural light is a prime requirement for leather grading, colour matching and consistently good stitching, so the environment was arranged to provide this. Today, Barker continue to manufacture the finest quality shoes which sell throughout the world. And although modern methods of production have been introduced over the years, the same skills, traditions and craftsmanship are very much evident today. In a world where things are constantly changing, it is reassuring that some things will always remain the same. In the 1940s Albert Barker (third generation) was an internationally acknowledged footwear designer. He demonstrated that an insistence on traditional standard need not to be old-fashioned. He backed a pursuit of innovative styling with determined brand promotion, once ploughing three successive years’ profits back into advertising. These policies of top quality materials, craftsmanship and distinctive classic design are still carefully maintained.